Mark Morriss has released an amazing solo album "Memory Muscle" this year. 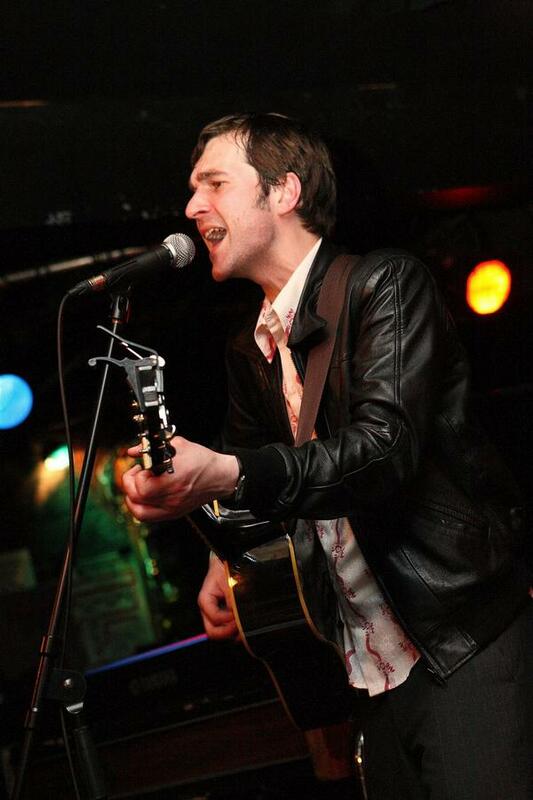 We talk about it and The Bluetones with the man himself. Hi Mark, your debut album has been out for a while. So looking back at it now, was it a good or bad experience? I thoroughly enjoyed the opportunity to try something on my own for once. Being in the Bluetones has always been a great satisfaction to me creatively, but making this record enabled me to shoulder all the responsibility myself, and it was a very stimulating experience. Where did all those songs come from? Too much creativity or just a personal wish to go at it alone? It was during a bit of a natural break from the band that I started to write the bulk of the songs for Memory Muscle, and being someone who enjoys touring and recording so much, it was the perfect opportunity to work for a short while with a different group of musicians, and in a weird way really fire up my hunger to work with the Bluetones again, but with a renewed vigour. How did it feel being on your own, having your name on top of the music (not having a band name behind you) after all this time? At first I was rather daunted at the prospect, but as with most things it is rarely a one-man show, and I had a really dedicated team of people working with me. "Memory Muscle" is full of interesting wordplay! We're rather curious about title? What's the story behind it? Well, I just thought that the phrase created the image of the heart or the mind as the muscle where all our emotions are stored. The physical soul, if you like. Also the tone of the lyrics? Behind the playful melodies, there's lot of darkness. Where did those dark overtones came from? We're especially curious about "Lemon & Lime" and "Maggie"? Not about THE Maggie, we suppose? Lemon and Lime was one of the first songs that was written for the album, and is basically a song about frustration and resentment. I'm not generally an aggressive or confrontational person, so writing songs is the ideal way for me to exorcise these demons. How Maggie Got Her Bounce Back is most certainly not about 'that' Maggie, but about my partner. It's really just a silly little ditty about how despite all the pressures of modern life sometimes building up in one's thoughts, it's the love of a good woman that helps to give life some perspective. We seem to recall that some of those songs were published as Fi Lo Beddow? Where did that project go? Was is just a temporary name? Yes, the Fi-Lo thing was just temporary. I think I was a little reluctant at first to go under my own name. We were rather glad to hear that The Bluetones are still going and that pretty soon you'll be playing whole of "Expecting to Fly" which is, let's face it, one of the essential brit albums of the nineties. How do you feel about "Expecting to Fly" after all these years? Are you proud of it and more importantly, can we expect an deluxe edition of it? I guess I do feel proud to have made an album that touched then lives of so many people. Were it not for that record's success then it's debatable whether or not I'd have been able to enjoy such a long and enjoyable music career. As for a Deluxe Edition, I'm sure that Mercury Records have something up there sleeve whereby they can wring some more cash out of it for themselves. 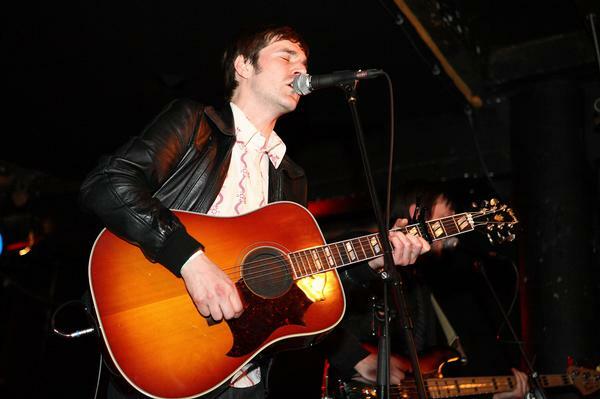 What's in store for The Bluetones now? Is it still as exciting as it was at the beginning? Is there a new album coming? The self-titled was amazing! Why, thank you very much. Yes, there will be a new record out around Easter 2009, and yes, it is still as much fun working together as it ever was. Hence the 4 of us still keep coming back. Despite the fact that our lives have changed considerably outside of the band, when we get together to play it still feels as fun and fresh as it did when we were first starting out. What is your opinion on all the release schemes going around these days? Do you think the future of music is online or that these are just clever marketing plots that work in a certain moment? Well, the music industry has always moved hand in hand with developing technology and the internet is just the latest in a long line of marketing tools used to get the sounds out to the people. But the bottom line will always be with the music itself. If you have something to offer then people will seek you out in whatever format they can get their hands on. Finally, what do you read and listen to lately? My album of the year for 2008 has been MGMT's 'Oracular Spectacular', closely followed by Stephen Malkmus' 'Real Emotional Trash'.... I'm currently reading 'Hocus Pocus' by Kurt Vonnegut, but my favourite books of the year have been 'Blood Meridian' by Cormac McCarthy and 'Lunar Park' by Bret Easton Ellis. Thanks a lot for your time, and good luck with the upcoming tour!